Home / Manic Mondays! • Pretty In Pinky / Manic Monday! 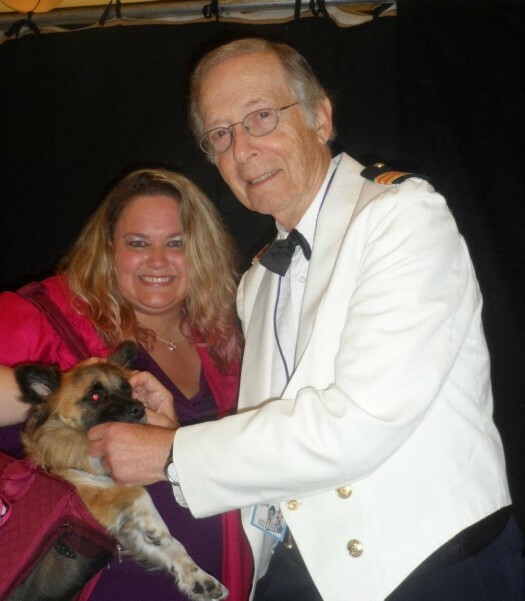 Pinky Shares Her Outlander Love After Meeting The Cast! Caitriona Balfe! 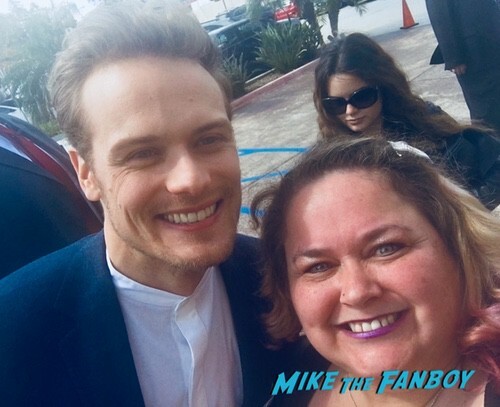 Sam Heughan! Sophie Skelton! Lotte Verbeek! And More! 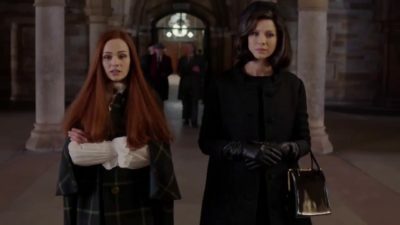 Man oh man… I know people love Outlander but I always miss HOW MUCH they love outlander! Pinky is a huge fan of the series and I can almost hear her excitement as I read this weeks Manic Monday! I love it! Hello, my lovelies. Pinky Lovejoy-Coogan here pretty exhausted after a busy weekend. 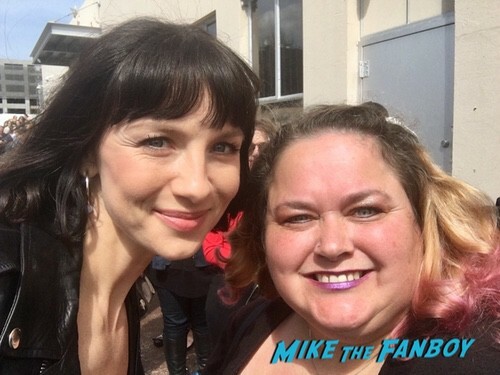 Still, it was all worth it as I was able to meet an actress from one of my all-time favorite shows, Outlander! 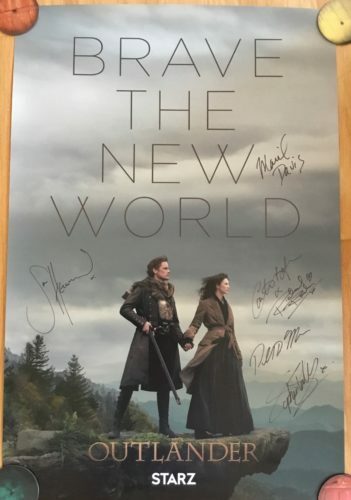 As a HUGE fan of Outlander, this was a really big deal. In fact, she wasn’t on the list for the party and they usually film overseas, so I never expected to see her! Who am I talking about, you ask? 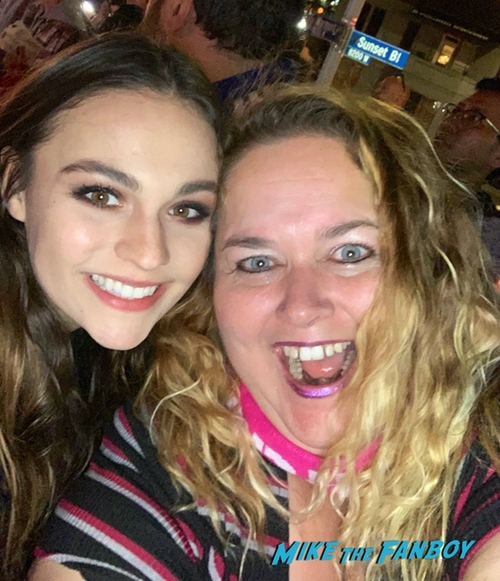 Sophie Skelton herself, who plays Claire and Jamie’s daughter, Brianna Randall. 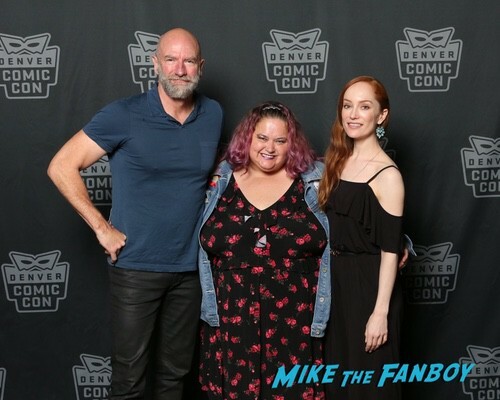 Earlier this year I was able to get pictures with both Caitriona Balfe and Sam Heughan (AKA Claire and Jamie) and then at Denver Comic Con I was able to meet Lotte Verbeek (AKA Geillis) and Graham McTavish (AKA Dougal) – my Outlander collection is growing slowly but surely! Squee! As we enter Droughtlander, I’ll need my pictures to keep me company! Sundance! 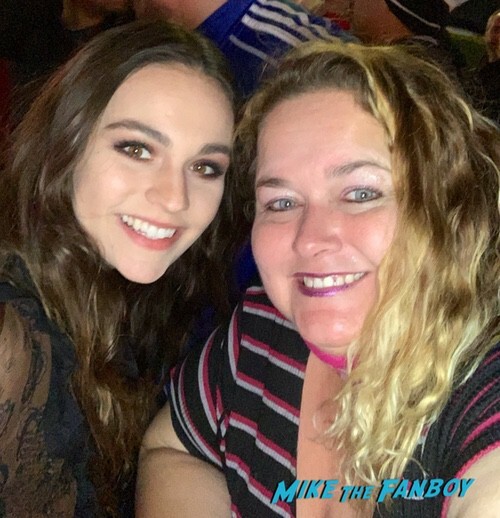 Pinky Looks Back At The Sundance Film Festival And The Awesome Memories! Woody Harrelson! Mark Ruffalo! Macaulay Culkin! And More!